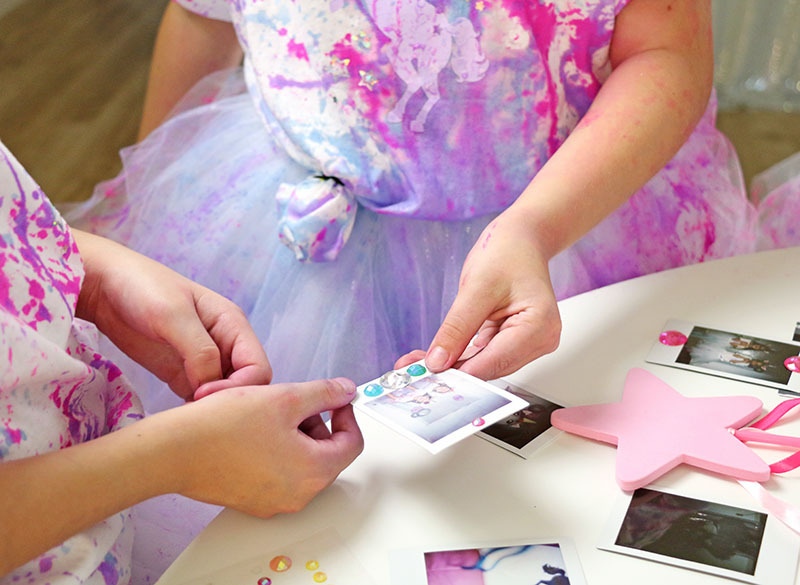 This sparkly and colorful unicorn party was so much fun and so cute! 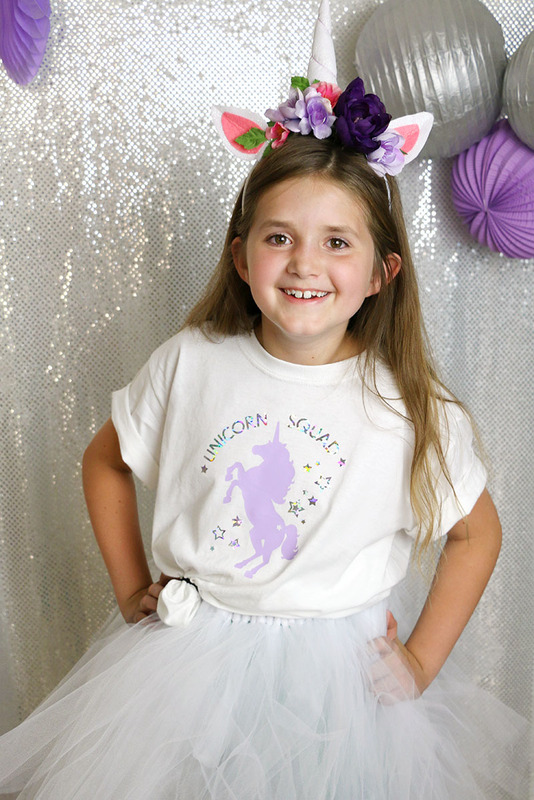 Keep reading for lots of unicorn party DIYs, unicorn party decoration ideas, and fun unicorn activity ideas! 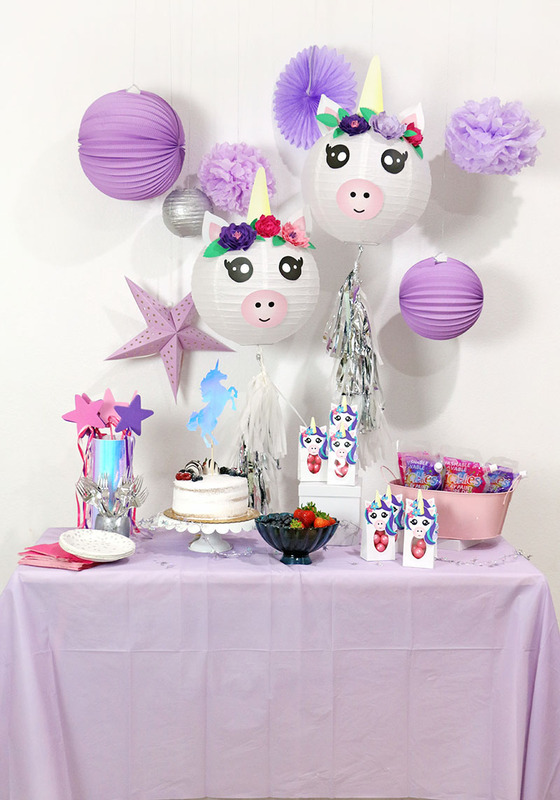 I’ve included lots of free cut files and printables to make it extra easy for you to throw your own magical unicorn party. A big thanks to Goblies for sponsoring this post! Its officially October, which means it’s time to think about Halloween parties and celebrations! 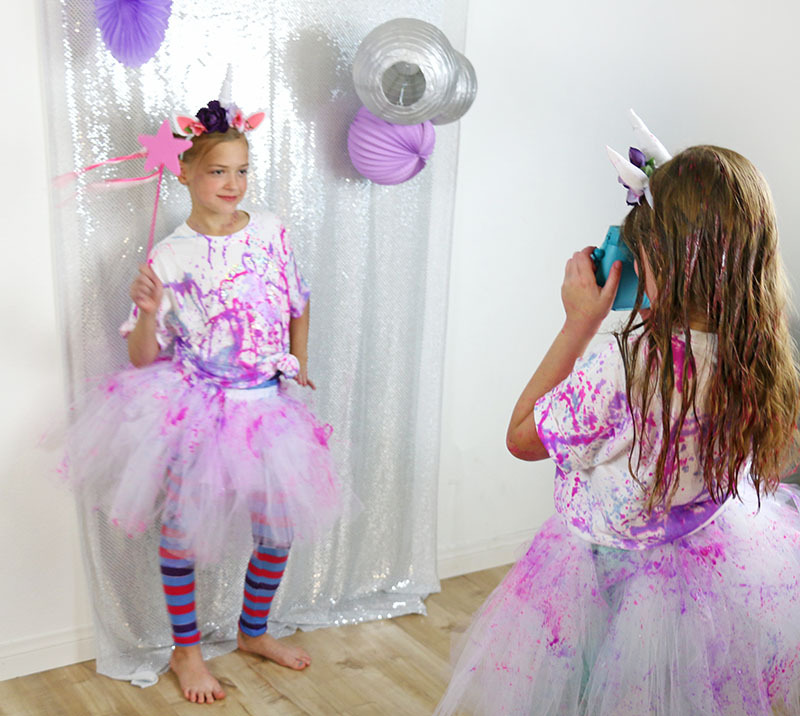 If you are looking for an alternative to scary or gory Halloween party themes, why not try out the magical side of Halloween with a cute and colorful unicorn party?! That’s just what we did here last week, and we had so. much. fun. 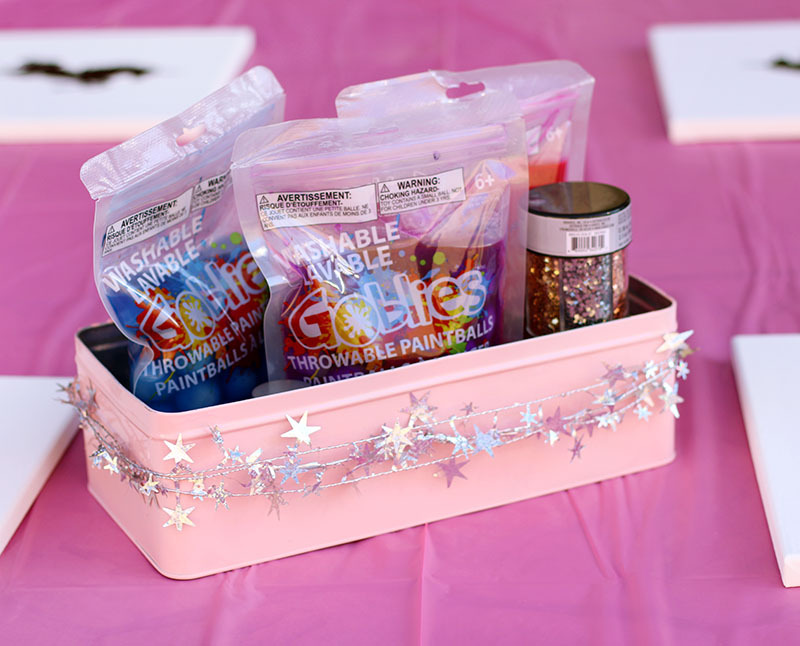 This unicorn party is, of course, loaded with lots of cute, sparkly details, but it also has it’s fair share of adventure and mess thanks to the Goblies play paint we used for our party activities! The kids had a blast, and I think the kids in your life would love it too. 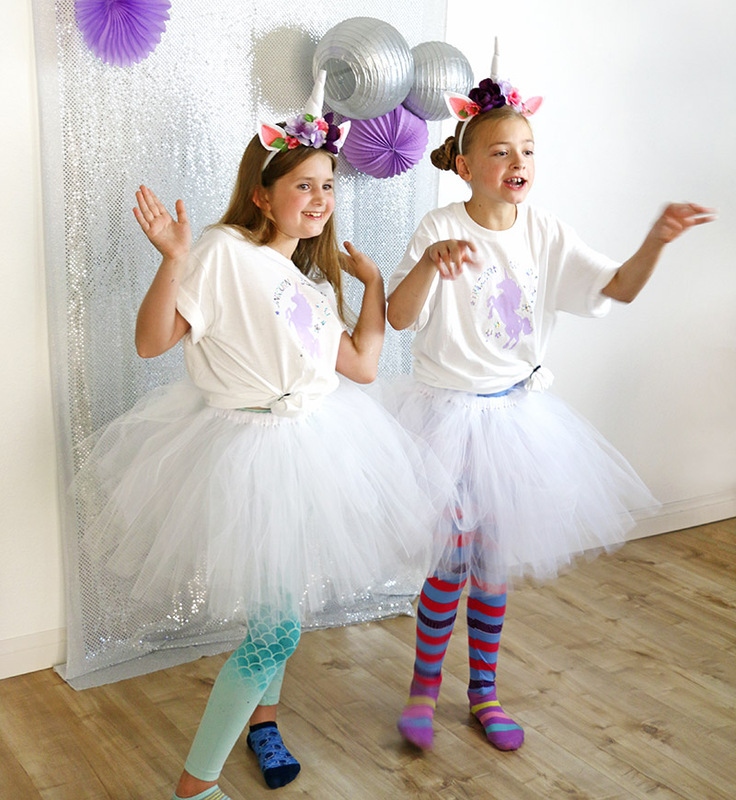 Keep reading for lots of ideas for a unicorn party that is both cute and FUN. Unicorns can really work with a lot of different color schemes, but for this party, I decided to stick to mostly silvers and purples with a bit of pink and holographic shininess thrown in. This worked perfectly with the colors of Goblies paint we used for our party activities. The dessert table is where I focused most of my party decorations. I layered the table in white and lavender tablecloths and then hung silver paper lanterns and lavender paper decorations above the table. In front of those, I hung a pair of DIY Unicorn Paper Lanterns that I think just turned out so cute! 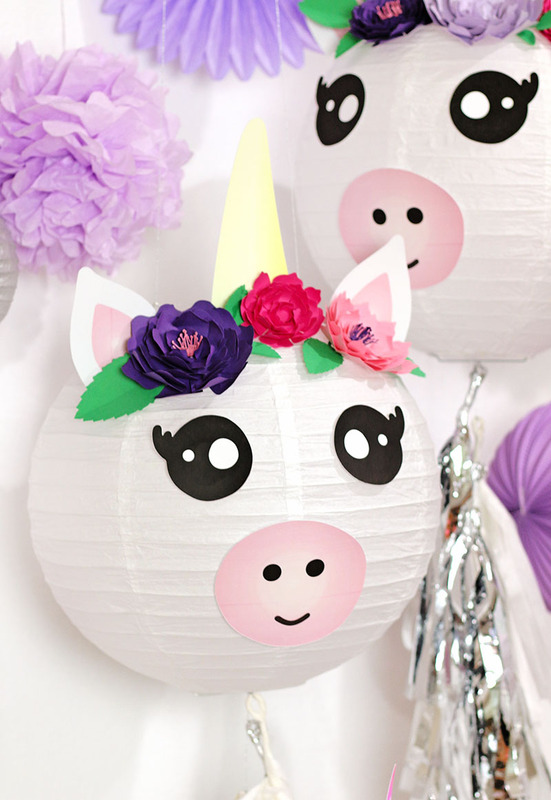 You can learn how to make your own cute unicorn paper lanterns plus get my free printables to help you make them right HERE. On top of the table, I twisted a strand of holographic Silver Star Garland around around and covered a shipping tube with holographic vinyl to make a container for our star wands. 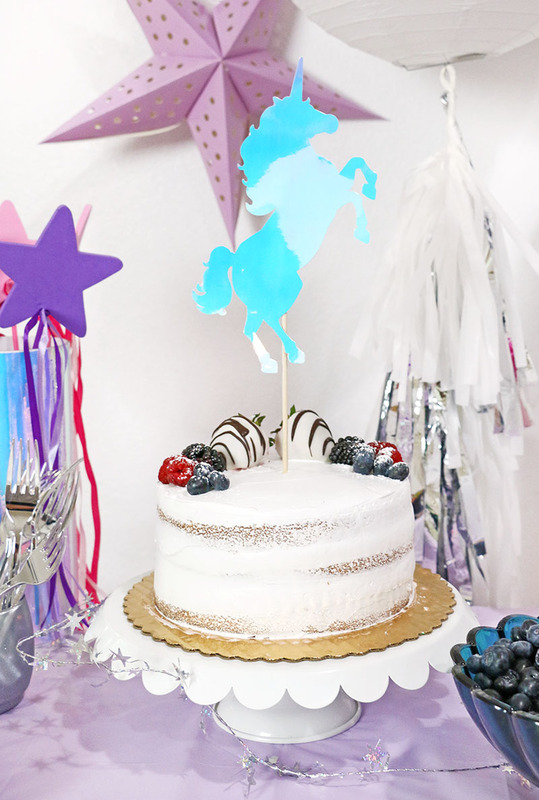 I also made a simple cake topper by applying that pretty holographic vinyl to a piece of cardstock, cutting a unicorn shape from it, and hot gluing it to a thin dowel rod. It’s such a simple way to dress up a store bough cake, but I think worked pretty well! I had a few different unicorn party favors prepared for each guest to take home at the end of the party. 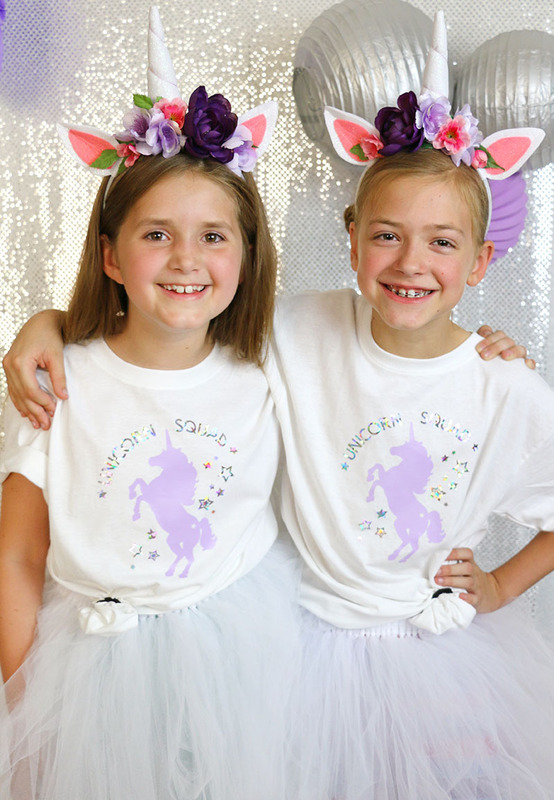 First, each guest was given a Unicorn Squad t-shirt, fluffy white tutu, and unicorn headband when they arrived at the party. 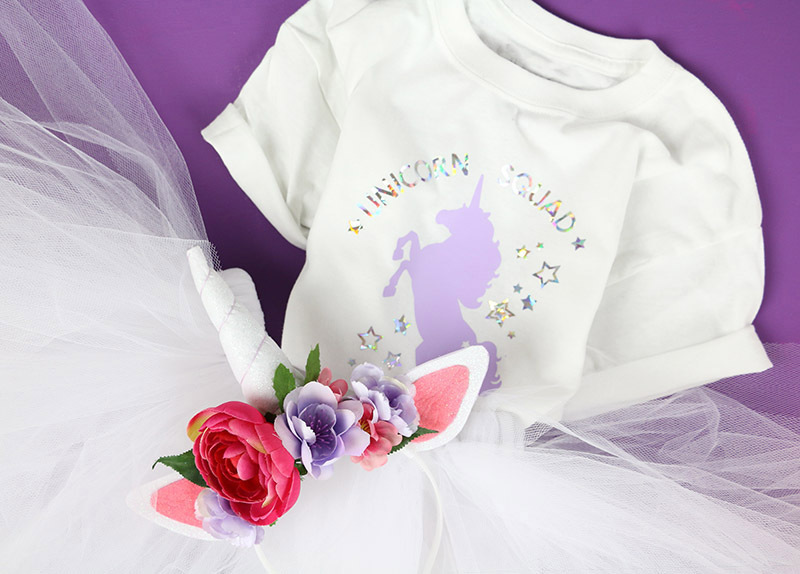 You can read more about how I made the Unicorn Squad T-Shirts (which I am crazy about) plus get the free cut file to make your own right HERE. 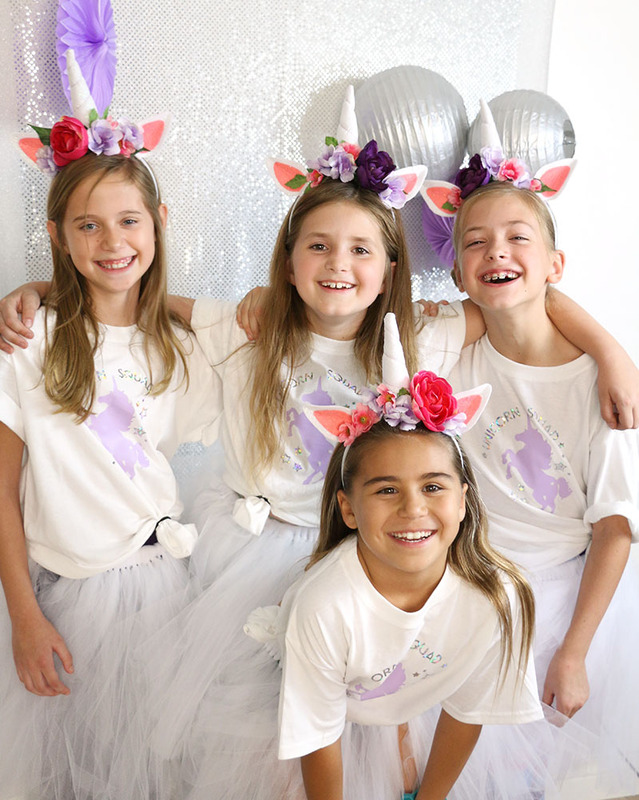 The DIY Unicorn Headbands turned out so cute too, and the girls were all so excited about them! 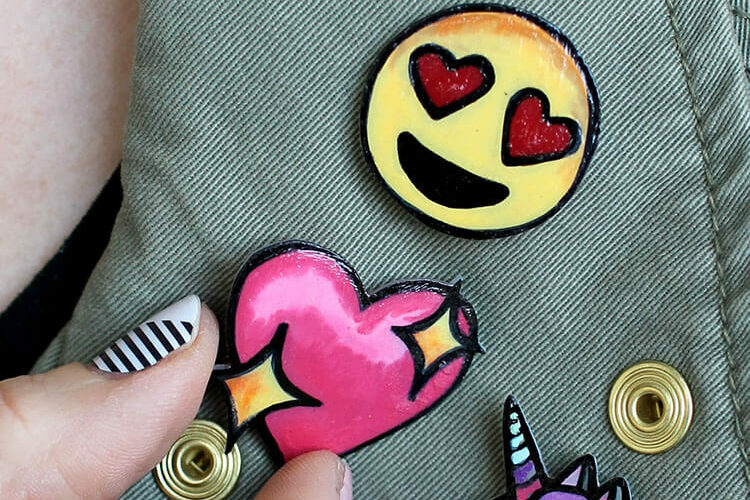 You can get free templates plus full instructions to help you make your own DIY unicorn headbands right HERE. I also made simple no-sew tutus for each of the guests using Elastic and 6 Inch Tulle Netting. I don’t have a full tutorial for the tutus, but basically you just need to sew a loop of elastic to fit around the waist of the person you are making it for. Then, cut lengths of tulle twice as long as you want the finished tutu to be. Finally, use a larkshead knot to attach each piece of tulle to the elastic waistband until it’s as full and fluffy as you like (I used about 70-80 yards of tulle for each tutu). They are super duper easy to make, but they are a bit time consuming, so it’s a good project to work on while binging your favorite TV show! 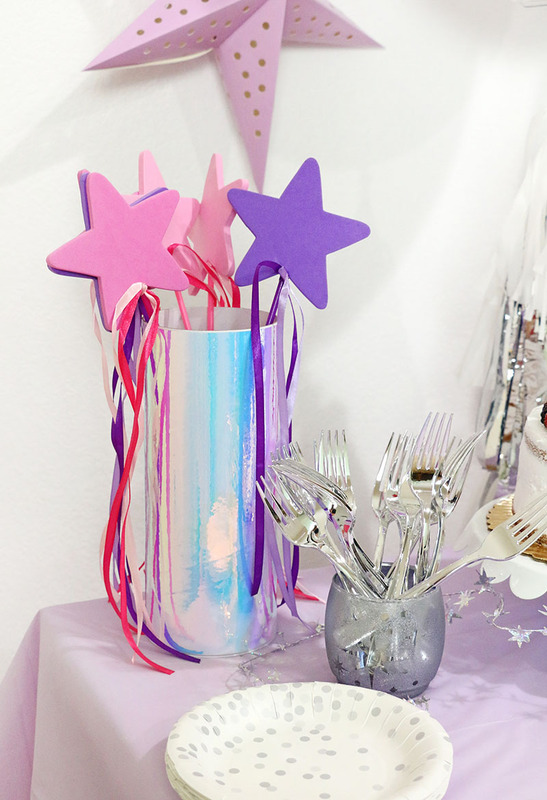 Besides, the t-shirts, tutus, and headbands, each guest also got to take home a cute Foamies Star Wand, which also added some nice color and height to my dessert table! 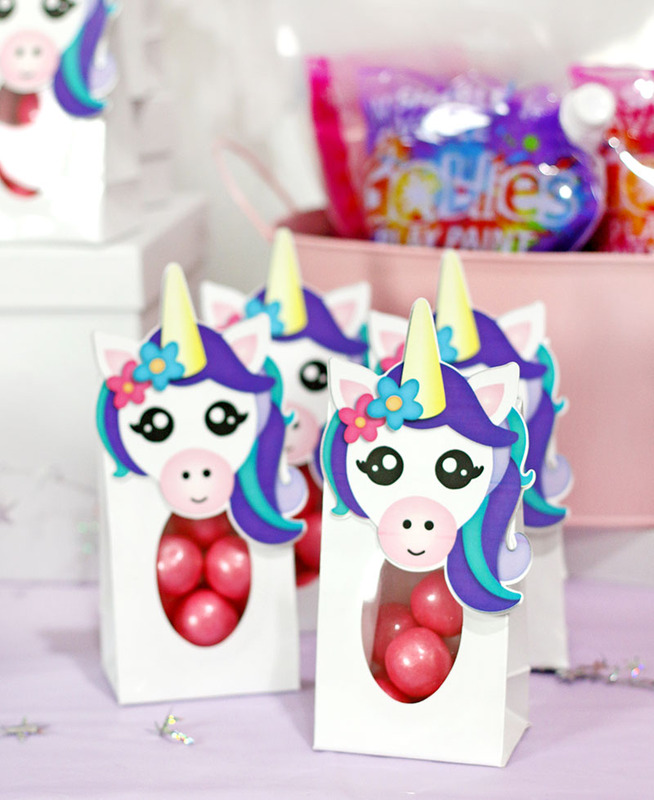 Finally, I made simple little DIY Unicorn Party Favor treat bags for each guest to take home at the end of the party. These cute little goodie bags are super easy to make with my free printables, which you can grab right HERE. Okay, now that we have looked at all the cute unicorn decorations and favors, let’s move on to the fun stuff! For this party, Goblies really provided the two main activities, and the kids just had so much fun playing and making a big magical mess! I have found that there’s nothing my kids love more than being given permission to go crazy and get messy. 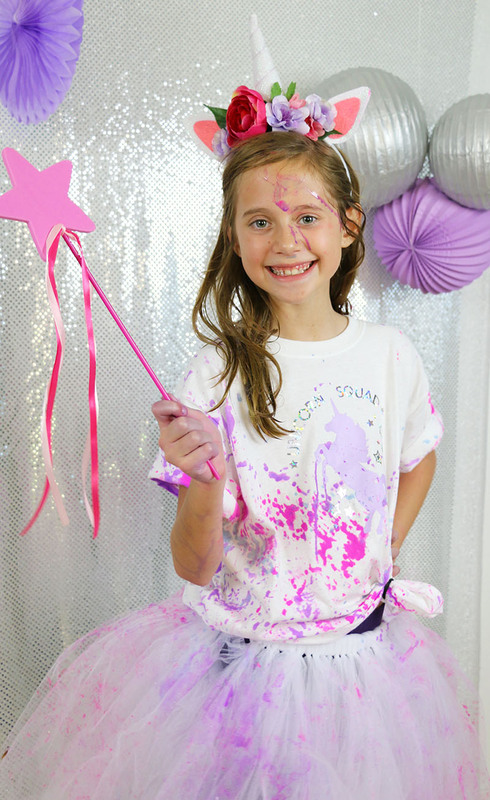 Before the party, I let parents know that we would be playing with a lot of paint at the party, but that I would be providing t-shirts and tutus for everyone to wear and that the paint is completely washable. (I have to say, I was really impressed with how well the paint washed out of my kids’ clothes after the party.) I also made sure the kids all knew that the paint activities would all only be taking place in the backyard, and I used plastic tablecloths to protect my patio furniture and to make clean up a bit easier. When the guests arrived, I first had everyone change into their t-shirts, tutus, and headbands. You could also deliver these items to your guests ahead of time and ask them to wear them to the party. Then we took some “before” pictures in simple DIY photo booth I had set up. To create the photo booth, I simply tacked a few yards of faux sequin fabric up on the wall and hung a few of the silver lanterns and lavender paper decorations in front of that. 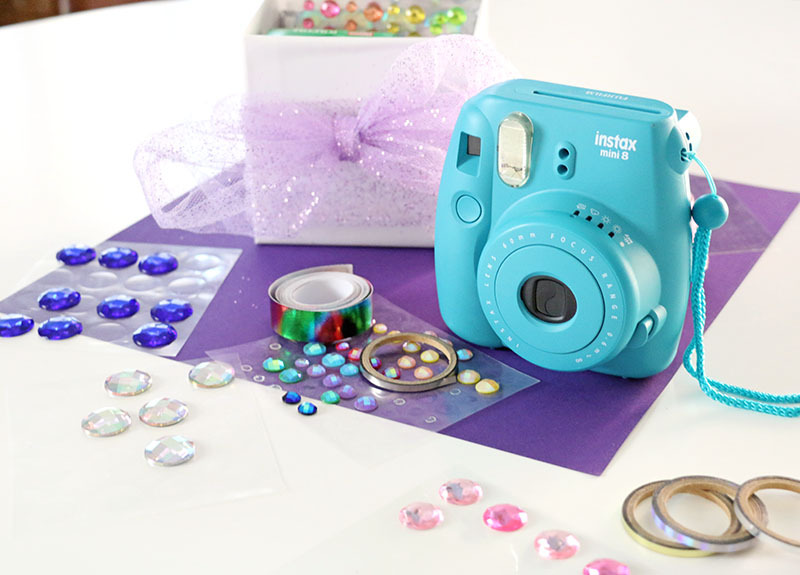 Then, on a nearby table, I placed an instax camera, some film, and a few decorating supplies (colorful sharpies, gem stickers, and metallic washi tapes). 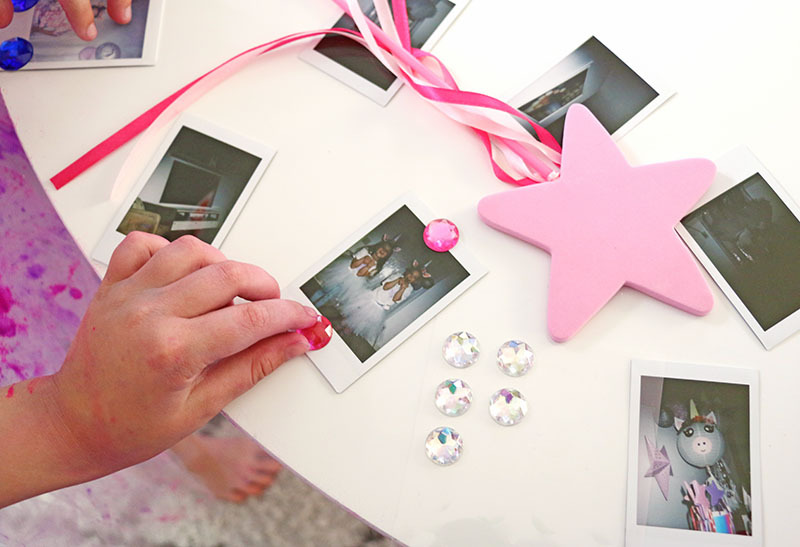 Kids seem to always love to take pictures of each other with the instax cameras, and giving them a few little supplies to decorate their pictures with creates another simple activity! 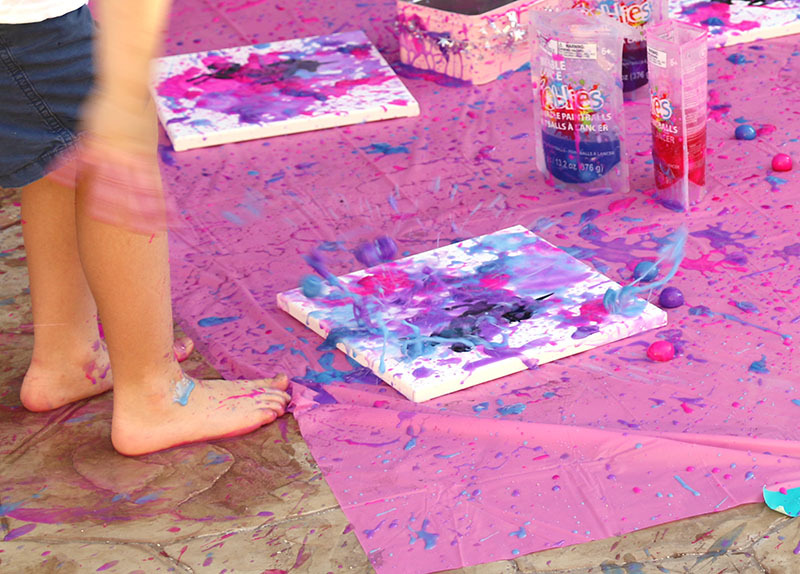 After snapping a few clean “before” shots, we headed to the backyard for some messy, magical fun! 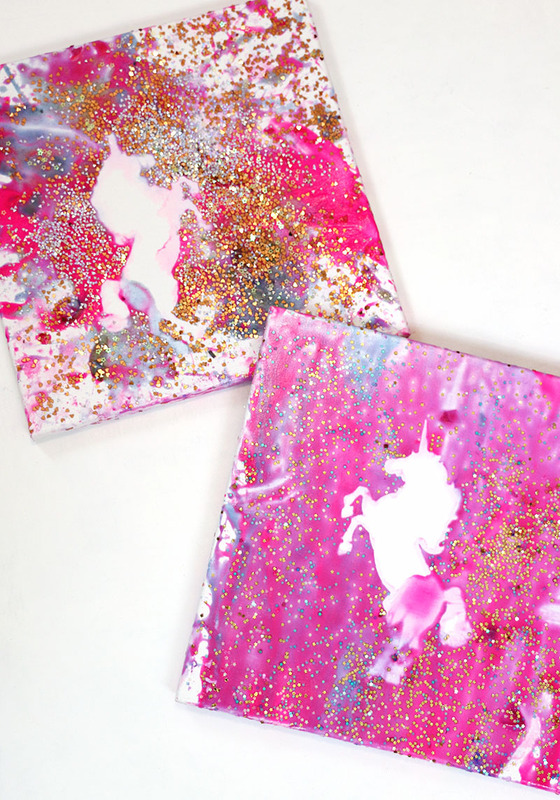 First, we started off with a little DIY unicorn art project because I’m a crafter and always want a little crafty element to my parties! 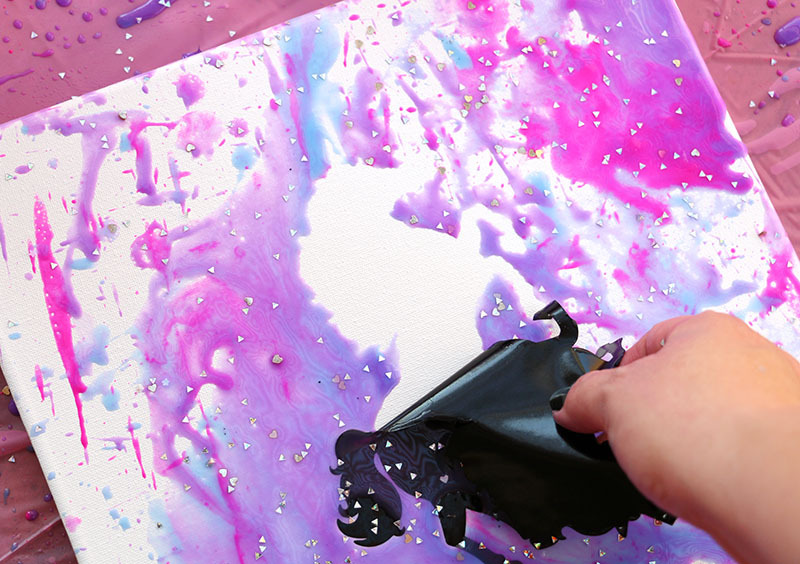 Here’s everything you will need to make your own DIY Unicorn Splatter Art (no party necessary!). 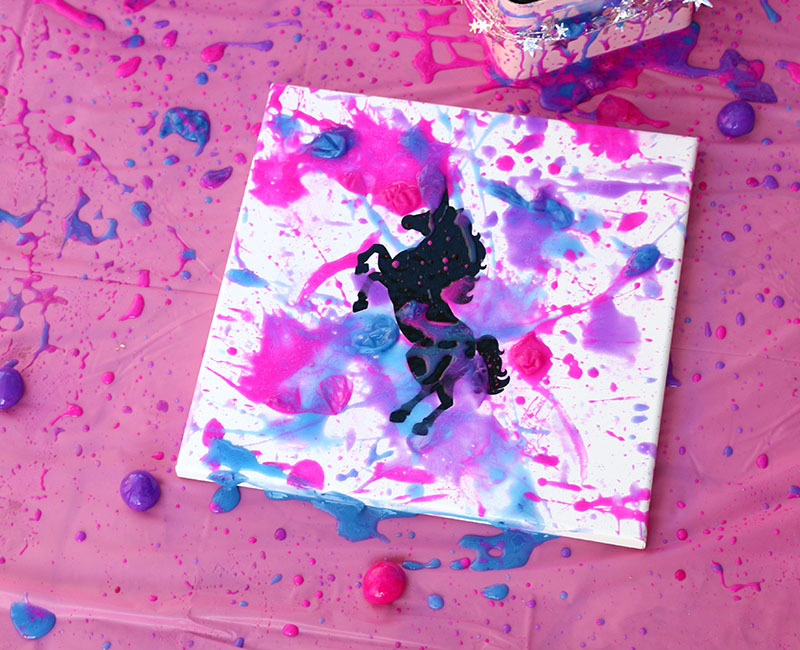 Before the party, I prepared blank canvases by simply cutting my unicorn silhouette design (you can find the cut file in the supply list above) out of adhesive vinyl and applying a unicorn decal to each canvas. Then, I set up our painting station by taping a plastic tablecloth down to the patio, and placing Goblies paint balls and a selection of glitter out with the canvases. Then, I just let the kids go to town throwing the paint balls at the canvases. This is so much fun! I want to mention that this got pretty slippery on our patio. If I were doing it again, I think I would move it over to the grass to avoid any potential slips. 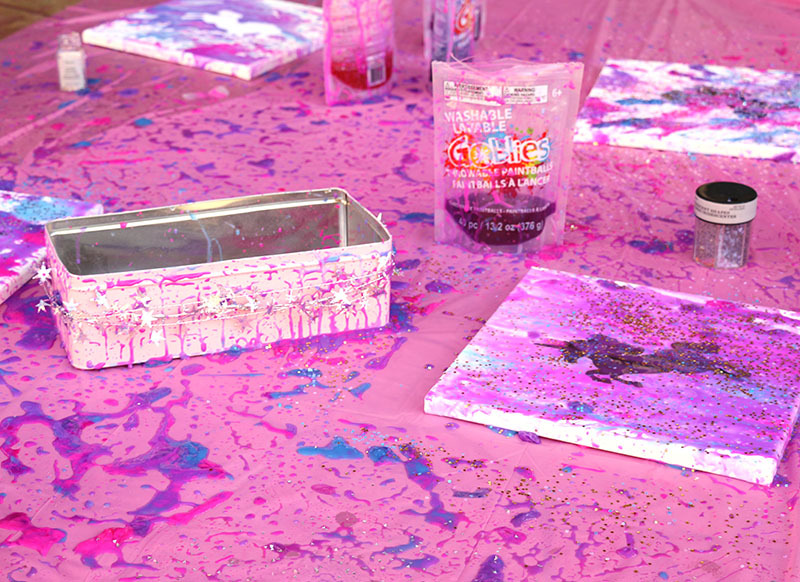 Once the kids were happy with their splattered masterpieces, we added glitter! At this point (or maybe before glitter) it’s a good idea to remove any of the little paint ball skins from the canvas to give you a smoother finish. 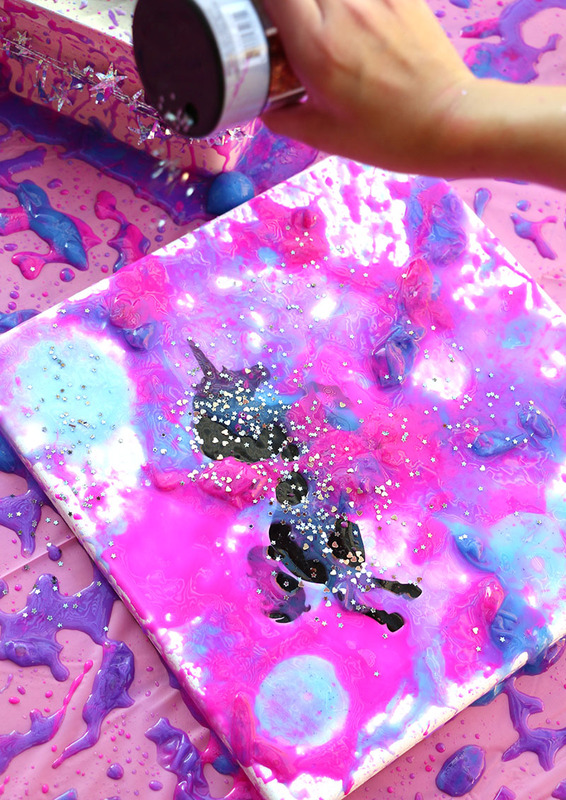 Finally, we peeled off the unicorn decals to reveal our pretty splattered Unicorn art! We set our canvases aside to drive for several hours. Once they were dry, I covered each piece with a clear acrylic spray to protect the paintings and help keep the glitter attached. The kids were so happy with how their paintings turned out, and we had so much fun making them! 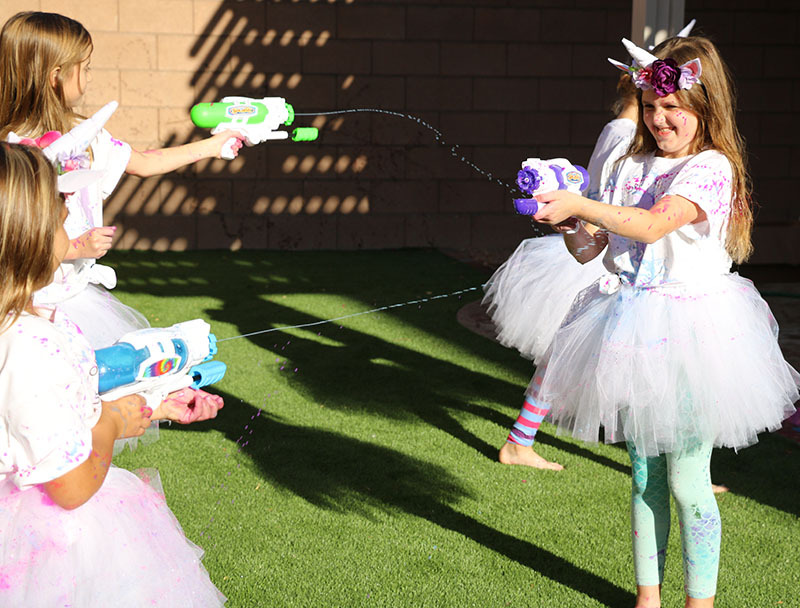 Goblies Unicorn Party Paint Fight! 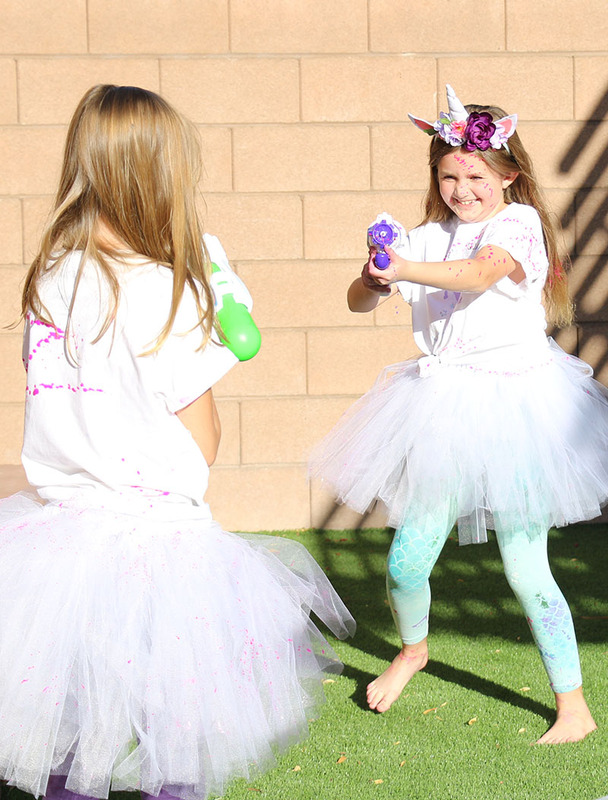 When we were done with our paintings, we moved on to a little unicorn paint fight! 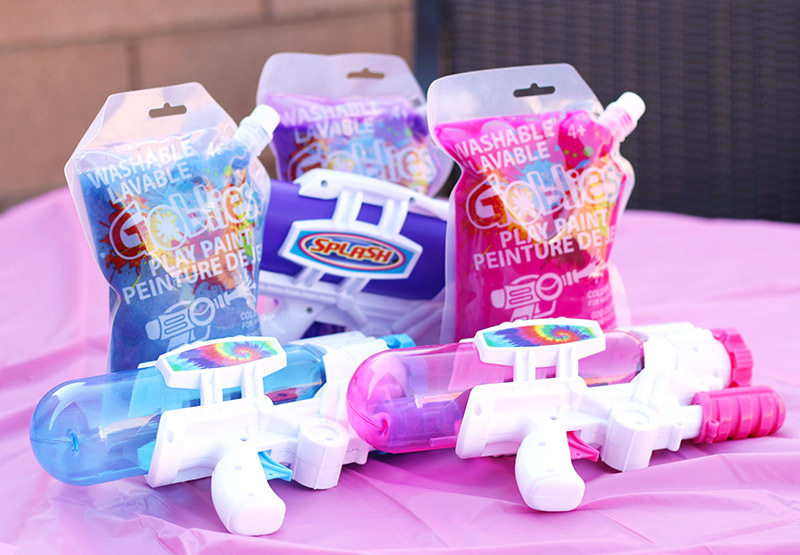 All you need for this are a water gun for each kid and some Goblies Play Paint (we used pink, purple, and blue to stick with our unicorn colors). I thought about making this more of a game (maybe pink vs purple? ), but ultimately just decided to let the kids run around and spray each other. It was totally simple and oh so fun! Just look at these happy faces! And of course, when they were done taking photos, they got to work decorating them! After that it was time for our guests to go home with all of their unicorn goodies and lots of fun memories too! 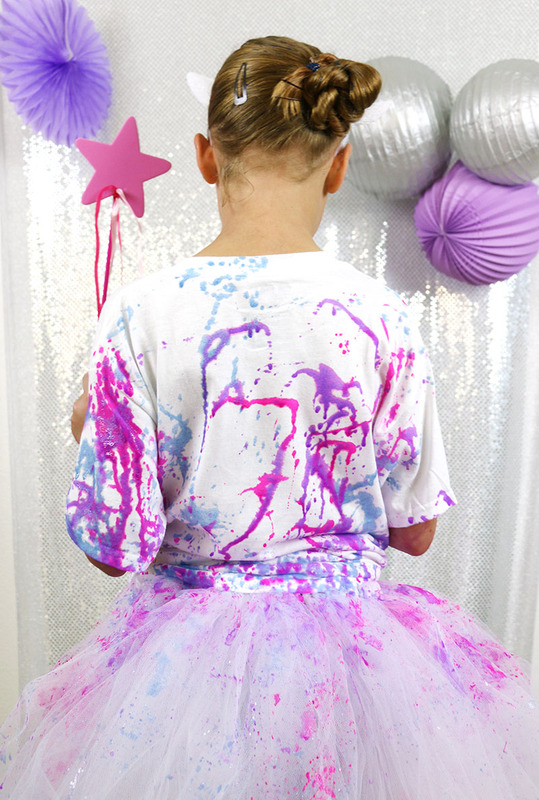 We had such a fun time at our colorful, messy, and cute unicorn party, and I hope this post gives you some ideas for throwing your own unicorn party! Until next time, Happy Celebrating and Happy Making!